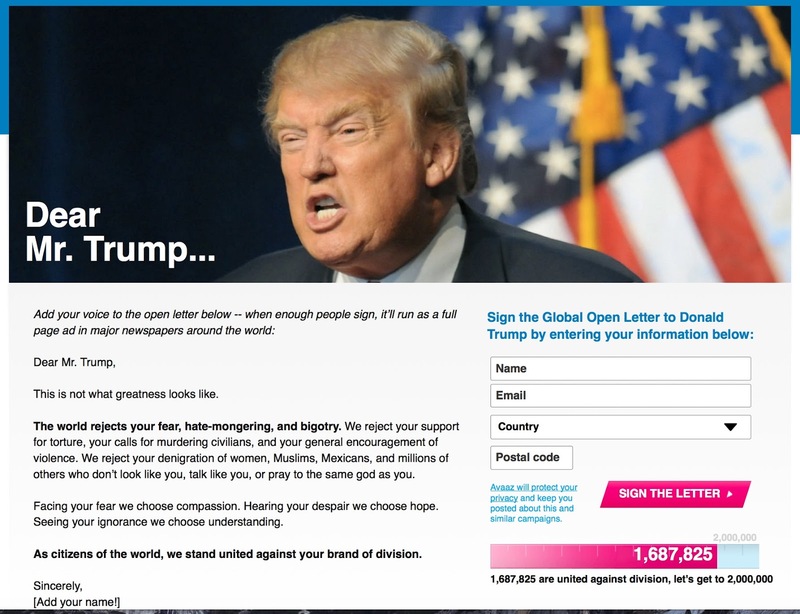 Avaaz has an open letter to Donald Trump rejecting his 'denigration of women, Muslims, Mexicans, and millions of others who don’t look like you, talk like you, or pray to the same god as you'. 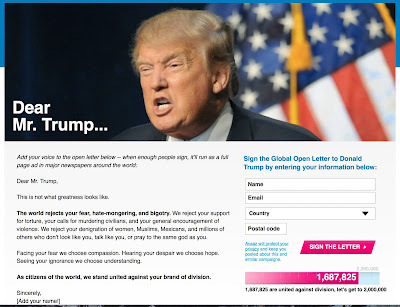 The letter has attracted signatories from right around the world. As of 11.55 on Sunday 10th April the total who have signed is a remarkable 1,693,002. Have you signed? If not please do!